On Thursday, January 15th, 2009, the world witnessed the "Miracle on the Hudson" when Captain Chesley Sullenberger glided his disabled plane onto the frigid waters of the Hudson River, saving the lives of all 155 aboard. However, even as Sully was being heralded by the public and the media for his unprecedented feat of aviation skill, an investigation was unfolding that threatened to destroy his reputation and his career. - Sully Sullenberger: The Man Behind the Miracle - The "Miracle on the Hudson" didn't happen by chance. The difference between disaster and deliverance rested on the character of the man with his hands on the controls. - Moment by Moment: Averting Disaster on the Hudson - Captain Sullenberger, Co-Pilot Jeff Skiles and air traffic controller Patrick Harten take us step-by-step through the 208 harrowing seconds of Flight 1549, revealing how the wrong decision at any point would have resulted in disaster. - Neck Deep in the Hudson: Shooting Sully - Director Clint Eastwood and producers Frank Marshall and Allyn Stewart reveal how Flight 1549's terrifying splashdown in the Hudson River was captured on film, shooting on the Hudson itself as well as in Universal's historic Fall's Lake, where parts of "Jaws" were filmed. 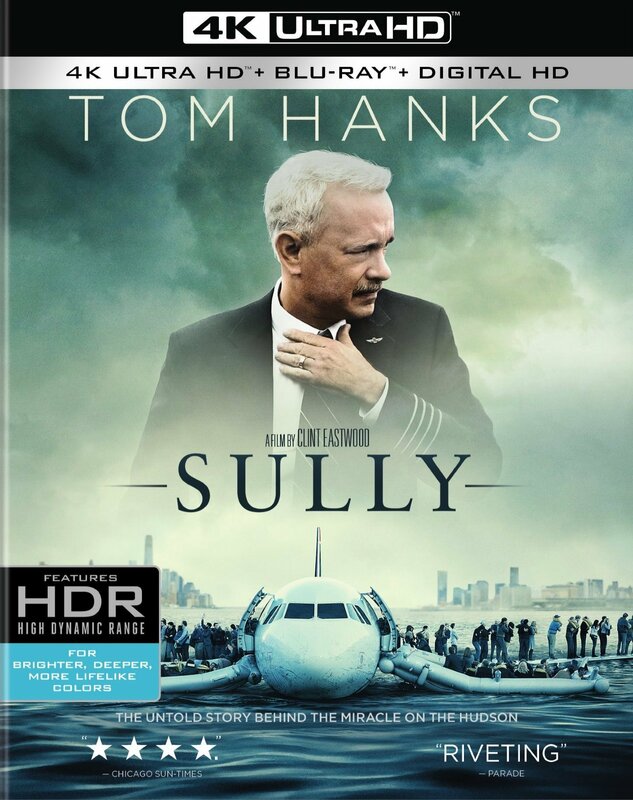 - The 4K UHD & Blu-ray discs of Sully will feature a Dolby Atmos soundtrack remixed specifically for the home theater environment to place and move audio anywhere in the room, including overhead.